Rabbi Kenneth Auman has been an adjunct professor of Jewish studies at Stern College for Women at Yeshiva University since 1993. Rabbi Auman is also spiritual leader of the Young Israel of Flatbush, where he has served since 1984. Rabbi Auman is well known among his congregants and students for his warmth, humor and impressive scholarship, and has become a highly sought-after speaker in history, halakha and hashkafa. In addition to his rabbinical and teaching roles, Rabbi Auman is active in many community causes. 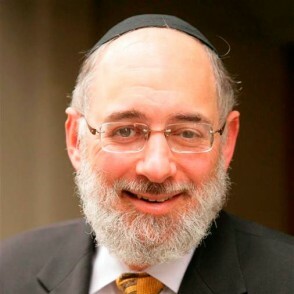 Rabbi Auman has served as president of the Vaad Harabonim of Flatbush, established the Kehillah Kashrus Rabbinical Board, served as rabbinic advisor to the Get organization, was president of the Rabbinical Council of America and has played an important role in maintaining the Flatbush eruv. Rabbi Auman earned a BA in Jewish studies at Yeshiva College and an MA in medieval Jewish history from Bernard Revel Graduate School in Jewish Studies. He received both Yadin Yadin and Yoreh Yoreh semikha from Rabbi Isaac Elchanan Theological Seminary. Rabbi Auman previously served as spiritual leader of Young Israel of Stamford and Inwood Jewish Center. He began his teaching career at SAR Academy in the Bronx and Ramaz Upper School in Manhattan. May one go on the Har Habayit? Does arguing with G-d make any sense? Reward and Punishment: Is the World Fair? How Much Are We Influenced by our Surroundings? Does Gd Judge us on Our Present or on Our Future? Old Age: Blessing or Curse? Deception: Do the Ends Justify the Means? Be Nice to Your Relatives! “In Gd We Trust:” How Much? Was the behavior of Lot’s Daughters Justified? Could Esav Really Sell the Bechorah? Did Yaakov Avinu Know Genetics? Sheva Brachot – Whom Are We Blessing? Machloket: Why can’t We all Just Get Along? Why do We Need Parshat Bamidbar? Why Would Anyone Want to be a Nazir? When Does the Kohen Receive the First Aliya? Shmitta and Yovel: For G-d or for Us?